Help your industry by having an unhindered experience of development and production supported by a well-built transformer. 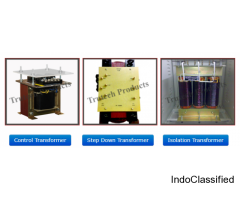 Trutech Products is one of the leading Transformer Manufacturers In India which is known for its idiosyncratic approach towards clients and their satisfaction. To deal with us, speak to our executives over a call.